The Nomination Classic Rose Gold Mummy charm would make a sweet gift for a new mother or a lovely Mother's Day gift from your little one. Made from stainless steel and rose gold, the charm is pre-engraved with Mummy. https://www.johngreed.com/nomination-classic-rose-gold-mummy-charm 69423 Classic Rose Gold Mummy Charm https://www.johngreed.com/media/catalog/product/n/c/nc7845_0_1.jpg 15 15 GBP InStock /Women /Women/Gifts/Recipients/Mum /Women/Charms /Women/Brands/Nomination /Women/Gifts/Occasions/Mother's Day Gifts /Women/Rose Jewellery /Women/Gold Jewellery /Women/Brands/Nomination/Nomination Charms /Women/Gifts /Women/Gifts/Occasions /Women/Gifts/Recipients /Women/Brands /Mother's Day /Mother's Day/Messages /Mother's Day/Most Loved /Women/Women's Events /Women/Women's Events/Spring Edit The Nomination Classic Rose Gold Mummy charm would make a sweet gift for a new mother or a lovely Mother's Day gift from your little one. 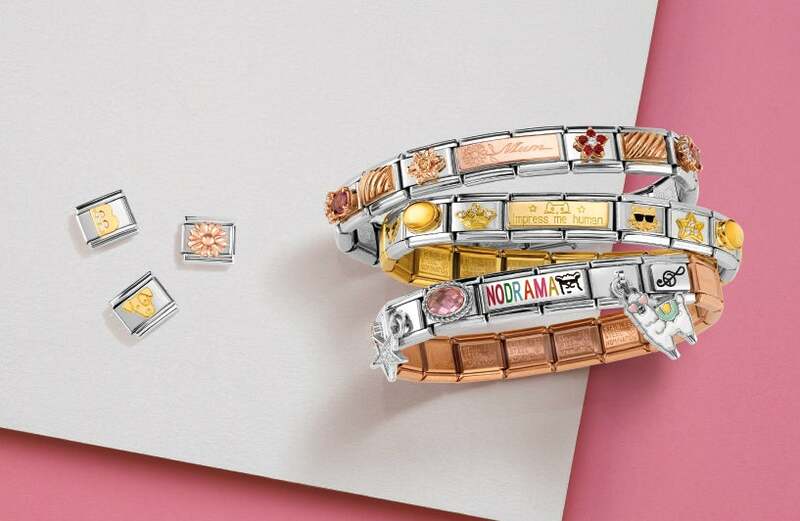 Made from stainless steel and rose gold, the charm is pre-engraved with Mummy.